When you think Egypt, you think Pyramids, Cleopatra and a land of mystique. But the birthplace of the Pharaohs has better culinary offerings than one could possible imagine. 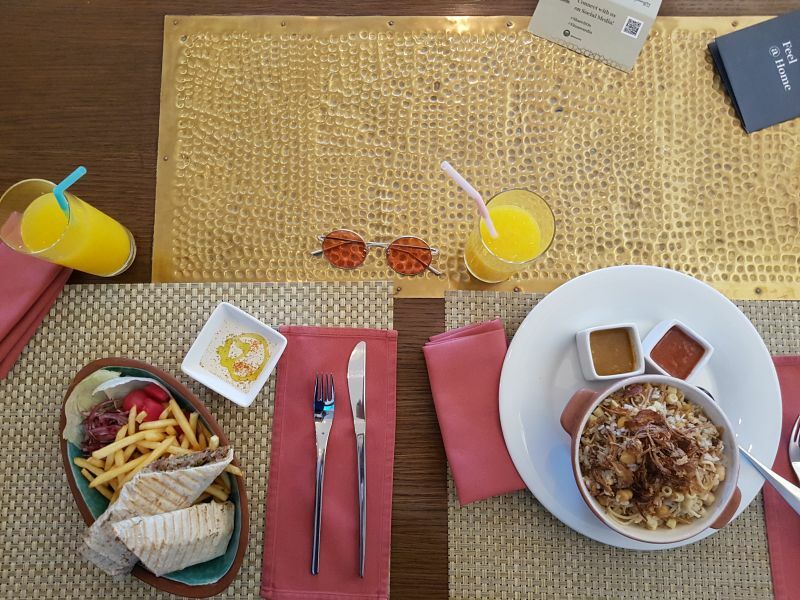 While the cuisine is very unique, it is evident that there is a strong Mediterranean and Middle Eastern influence in terms of certain spices, flavours and dishes that have been inspired by food from other Arab countries. My food-venture in the country soon overtook all preconceptions of what one stereotypically thinks of it. 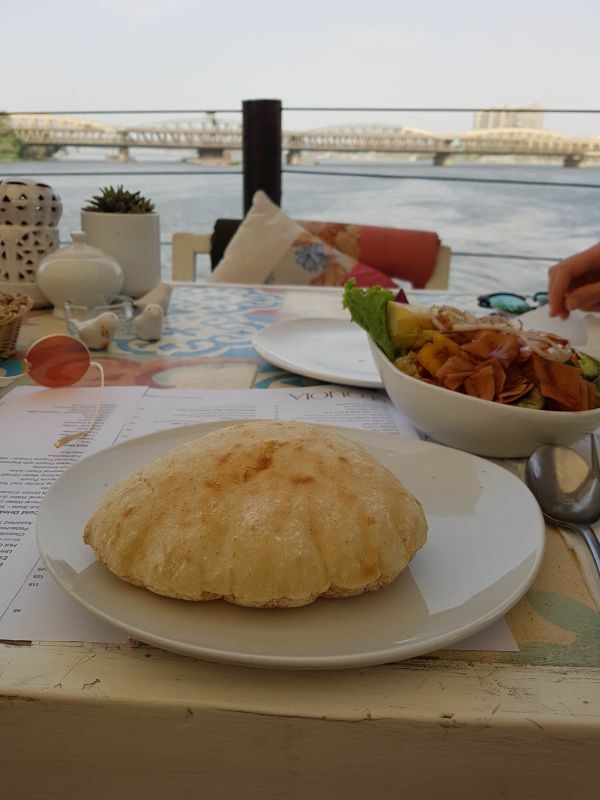 The locals showed me just how big a role food plays in its culture, adding so much more to my travel experience than the usual touring around Cairo. And eating like an Egyptian proved to be a much better escapade for a culinary enthusiast like me. Imagine eating local flavours for the first time, knowing you are experiencing the culture in the most authentic way possible surrounded by people to whom this magnificent feast is customary. Being an Indian, who loves our homeland’s flavours and spices, I usually tend to drift back to familiar flavours if I don’t enjoy what I discover. 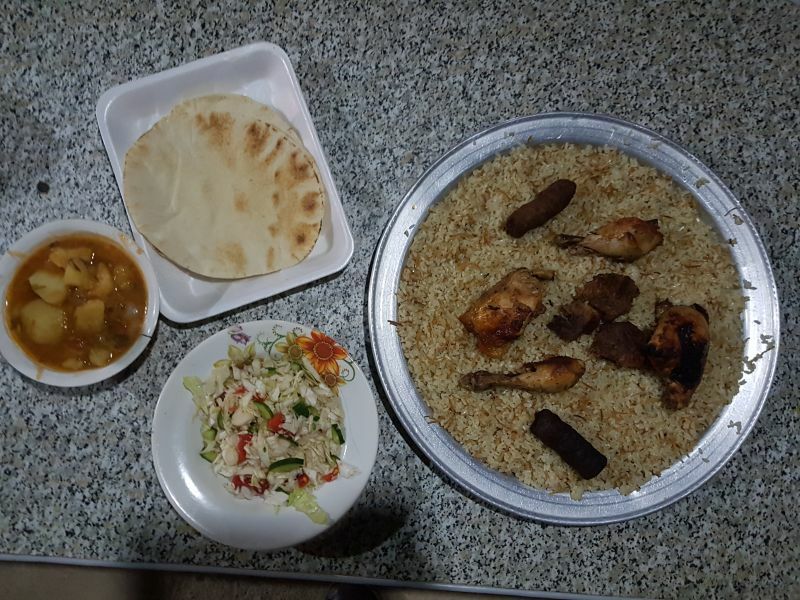 However, in Egypt I never missed the flavours of home. 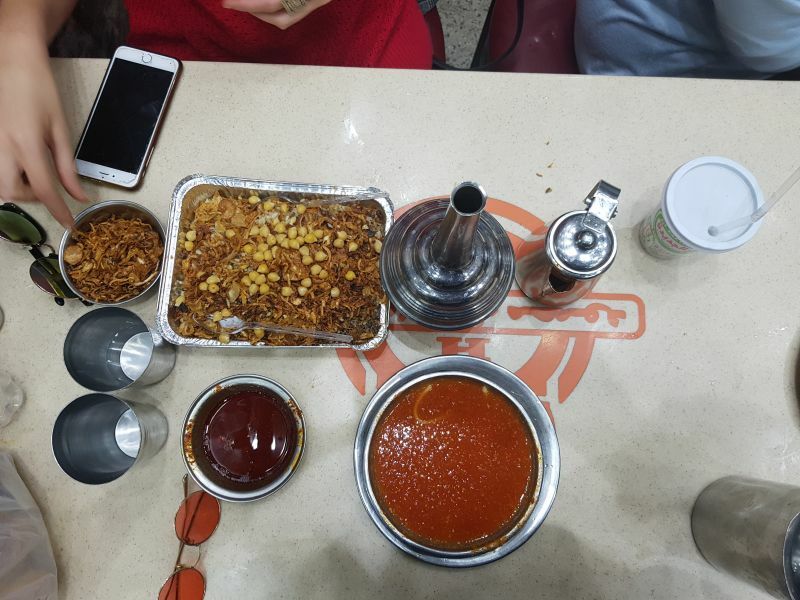 Koshari is to an Egyptian what Vada Pao is to Indians, or Ratatouille to the French. It is a rather peasant dish, not in terms of taste, but only pricing. Koshari is essentially a mixture of 5 (more or less) hi-carb ingredients with two very rich sauces: tomato and chilli. This is accompanied by lemon juice and fried onions (that stole the show and took the dish to a whole new level. We ate a massive portion good for two at a measly EGP 60 which is about INR 250. Even though I have passion for all things food, there are a few things I dislike. Syrup is one such thing that really grinds my gears, which is why I have never been able to truly enjoy Baklava, Roshogulla and Jalebi. This was until 2015, when my Egyptian friend got me a syrup-doused dessert called Konafa from her homeland. 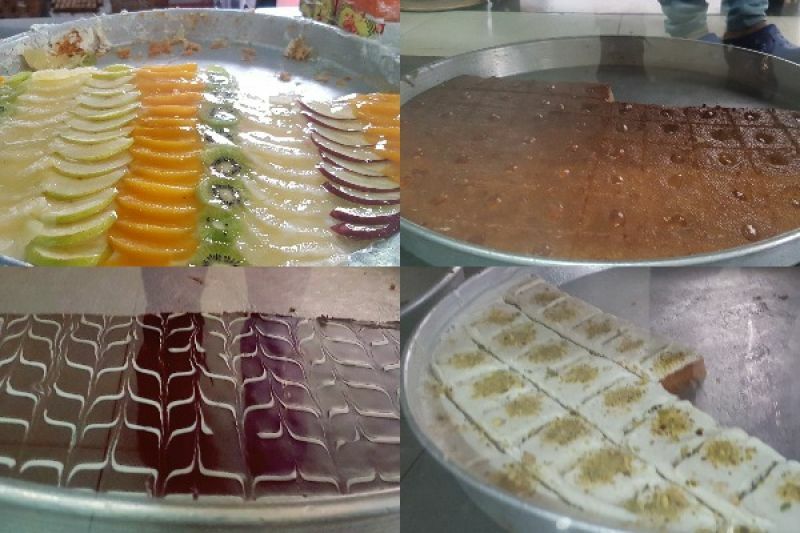 To paint you a picture of why I changed my mind about this sweet dish, let me explain the structure of Konafa to you. There’s a filling of cheese and cream, which is honestly how I imagine a cloud would feel in my mouth, sandwiched between two layers of cooked filo pastry hair, like vermicelli but super fine. This is baked and there doused with syrup. I cannot express the happiness I felt when I took that first bite, so much that I ate two portions. That is a lot, but it leaves you wanting more, until you have some water and realise the sin you have committed. Stuffed vine leaves are known as Warak Enab in Arabic, and is a Lebanon-inspired dish. 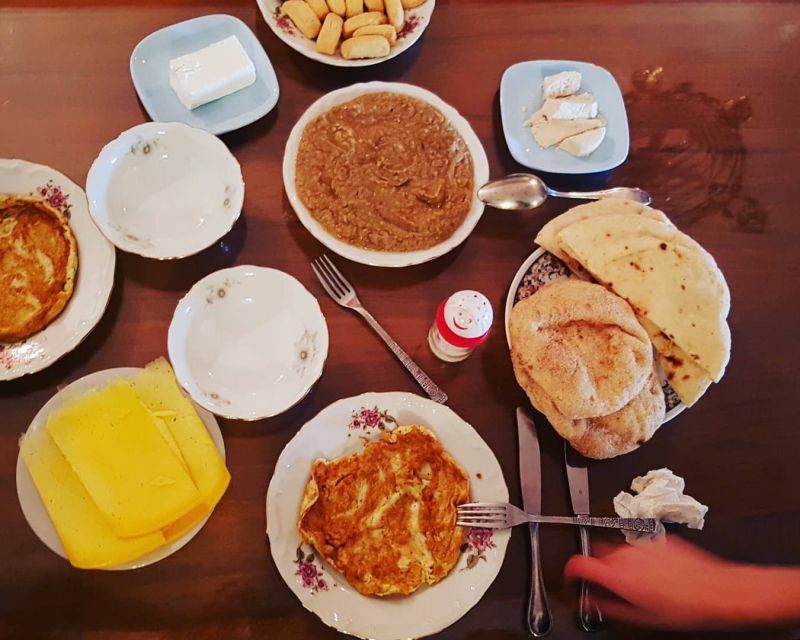 Warak Enab is essentially a cold mezze dish, it is fat grained rice cooked in spices, beef, tomato and fats, then wrapped in vine leaves and simmered in a lemony broth. These are tiny appetizers so generally a pot-full is made at a time. This is followed by sauteeing onions and tomatoes with some spices and then stacking the Warak Enab in the pot, letting it soak up all the sauces as it cooks along with it. While it is a very subtle flavour, it is one of the few vegetarian dishes I pop like dynamite shrimp. And it is the bomb. 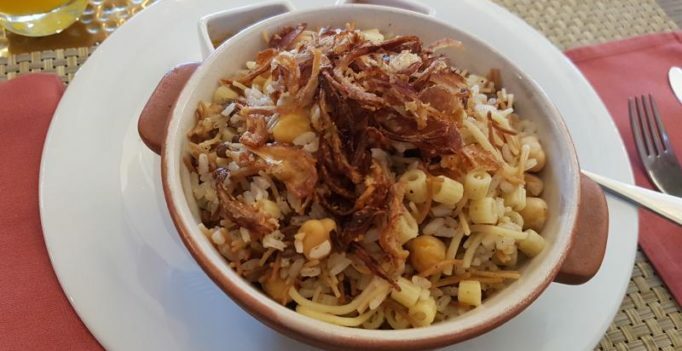 Hawawshi is quite a traditional Egyptian dish. 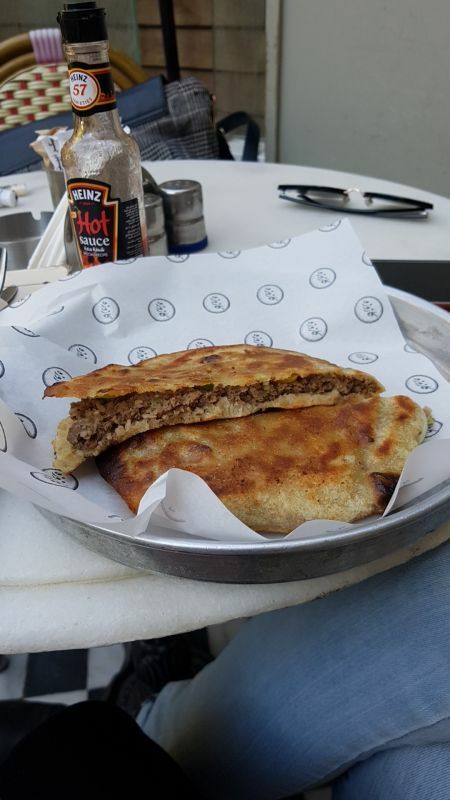 It is a pita stuffed with a filling of minced meat (usually lamb or beef) cooked with spices, onions, pepper, parsley, and chillies. This is then toasted lightly on an oiled pan and served hot. The outside is thin and flaky and the filling is spicy and delicious. Reminded me a bit of Indian baida roti. Yes, I know, this is probably the most basic thing I could mention. However, my eating spree in Egypt led me to encounter some very unique and delicious roast chickens, but if I had to pick one to bring back with me and eat for the rest of my life I would pick the one made by my Egyptian friend’s mother. However, upon realising that I would not be able to eat chicken like that again, I requested Mrs Magdy to let me eat the entire chicken over the span of the day (which she graciously allowed) and then I begged her for the recipe and here it is. Mix all the spices, lemon juice, ginger and garlic into the olive oil. Rub the mixture onto the chicken, save whatever is left for later. Let the chicken marinade for a minimum of two hours, but the longer the better. In a baking pan put the onions and tomatoes, season with salt. Lay the chicken on top of the vegetables and pour the remaining of the olive oil mix over it. Sprinkle a last round of seasoning. Heat your oven to 350 and bake for about 45 minutes to an hour. And at the end, you will surely be transported to Egypt, well I will. The new chocolate, named Ruby for its red hue is only the fourth ever type to be created since the white version in the 1930s…. The fundraiser was held during the annual gala of Bihar Foundation of USA (BFOUSA) wherein Bay Area Bihari community celebrated the ‘Bihar Divas’ in California….